Moore Magic will make sure your guests have a great time as they gasp, laugh, and help make unimaginable illusions possible. This husband-and-wife duo has shared their magic, escapes, and humor with thousands of people throughout the Midwest, in Las Vegas, Europe, Latin America, and on television. They recently completed an extended run at the Plymouth Playhouse and are now looking forward to bringing the magic to you. I have seen lots of magic shows, but this was the best one I have ever seen. A high-energy theatrical production featuring magic, comedy and audience participation enhanced by carefully-selected music, props, and sets. Features smaller illusions, escapes, and magic. Audience members are an integral part of this performance, helping the amazement happen in the blink of an eye. It was great how you involved so many members of the audience in the show. These magician homeowners conjure up some magical extras including a glass door that changes images depending on where you. Watch the full routine recorded during a live performance at the Plymouth Playhouse. See how Moore Magic transforms a hotel meeting room into a theatre, complete with lights, sound system and curtains. Two Plymouth magicians will take their magic show to the stage at Plymouth Playhouse. Lisa & Adam interviewed. 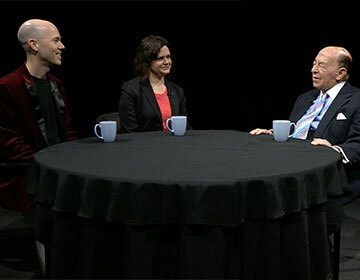 Barry ZeVan interviews Adam and Lisa about their history in the magic world of illusion. 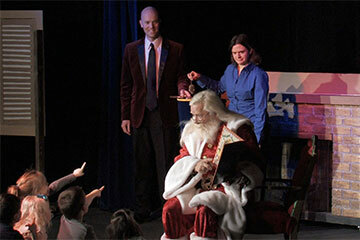 Santa appears with Moore Magic to create amazing grand illusions and a magical reading of 'Twas the Night Before Christmas. 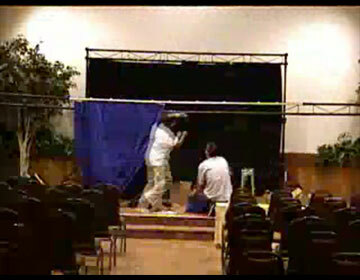 Many of our employees have never seen a magic show before and enjoyed the change of pace from the usual comedian. Imagine the excitement ten-year-old Adam felt when he was offered the opportunity to learn magic as a part of a school program. His teacher and mentor stressed the importance of showmanship, not just the mechanics of the trick. At the end of the class, Adam had mastered his first magic trick and amazed his entire class. Adam quickly decided that small tricks weren’t enough to entertain large audiences and began the study of illusion and escape. 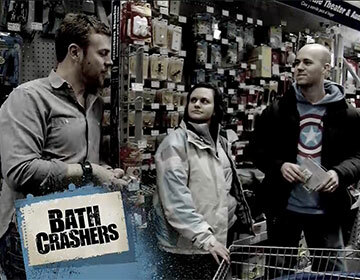 As his passion for magic and illusions grew, other people joined his magical team with Lisa, then Adam’s girlfriend, becoming his star assistant. Over the years, Lisa’s passion for magic and their relationship has grown, and now the act is a true partnership, both on stage and in their marriage. 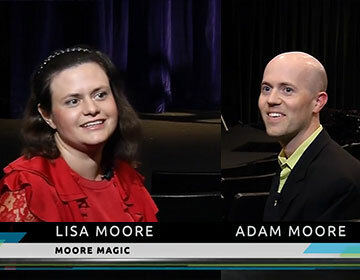 During their stage career, Moore Magic has performed both small platform magic and grand illusions for thousands of guests at corporate events, conventions, fundraisers, schools, churches, fairs, and festivals. For over 20 years, Moore Magic has performed throughout the Midwest, in Las Vegas, Europe, Latin America and on television. In their continuing quest to improve their magic, the Moores have studied at the McBride Magic School in Las Vegas with Jeff McBride, Jonathan Pendragon, and Lance Burton. 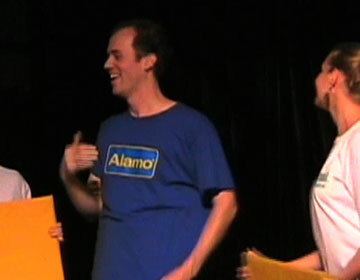 They were also part of a select group of magicians to study with Quick Change artists David & Dania. Plus, they continue to participating in seminars across the country lead by top magicians. 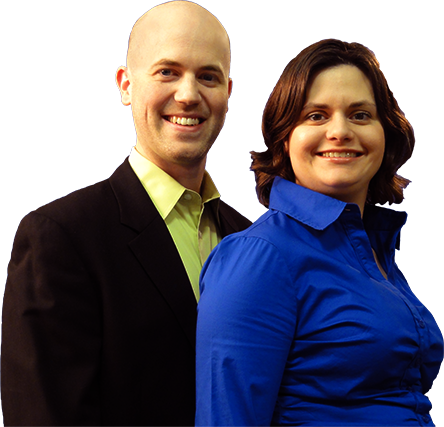 The Moores are active in the Society of American Magicians, in which Adam has been president of the Minneapolis chapter. Adam is a graduate of St. Olaf College and, when not performing, works as an advertising executive. Lisa is a graduate of the Carlson School of Management and the University of South Dakota and works as a software development project manager. The Moores also share a love of music — Adam playing saxophone and Lisa viola — talents they enjoy incorporating into several portions of their show. I can recommend you to anyone. Copyright © 2019 Moore Productions LLC d/b/a Moore Magic / All rights reserved.